Being a parent isn't a job. It's a blessing. 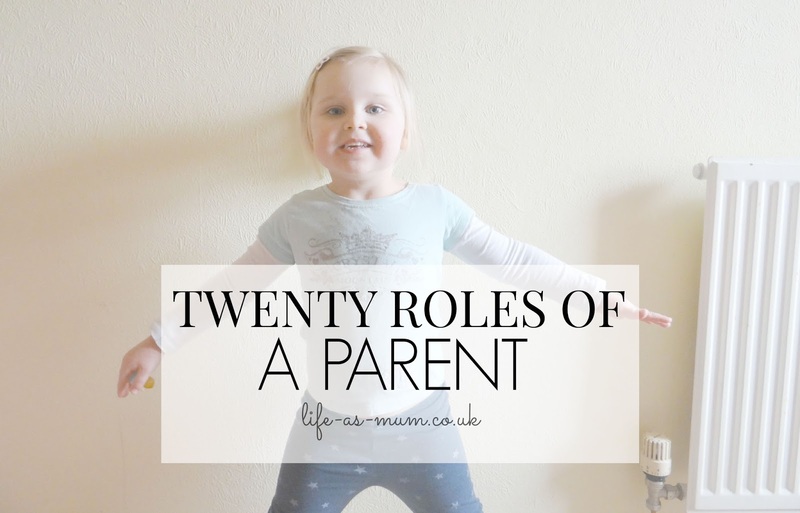 But there are so many roles a parent has to be once a child is born. Whether you are a single mum, single dad, stay-at-home parents or working parents. To be a childcare worker or a plumber you get courses and help but there are no guidelines with parenting. You may get offered to go to parenting classes, or there may be on in your area and that is great. You may have close friends or relatives you will help you to kind of understand and prepare yourself for parenting. But no one can prepare you to be a Mum or a Dad. No one. Us parents have day and night shifts. 24 hours, 7 days. No wage, but we don't want to be paid. Some of us may have child benefit and child tax but that money goes straight off to buy them new clothes and pay bills to keep a roof over their head. Being a parent is the hardest thing in the world. There is no book or voice to tell you exactly what being a parent is like. Every parent copes in different way, handles things differently and every single child is different and develops differently. 1. Doctor when our little ones a poorly. 3. Maids cleaning the house every day. 4. Chefs 3 or more times a day. 5. Servants looking after the littles ones. 6. Magician by magically hiding the dummies away. 8. Santa Clause at Christmas time.. hours and hours of wrapping. 9. The Tooth Fairy in the middle of the night. 10. Animals when you want us to pretend to be a certain animal! The joys. 11. Night Carers when little ones wake up in the middle of the night. 12. Day carers, looking after the little ones all day. 13. Zombie when little ones have kept us up all night but wake up extra early. 14. Lollipop woman/man when we have to teach our little ones to cross the road. 15. Taxi drivers to take the little ones out. 16. Artists. Our little ones think were fantastic, so that's good, I guess. 17. Teachers. Learning our children new words, how to tell the time and so much more. 18. Caretaker, making sure all doors are locked and listening out for anything unusual in the middle of the night, even when we are sleeping. 19. Personal shopper. Going to the shop buying the kids things. 20. Storyteller when we read a bedtime story book. Now that is only 20 things. There are much more. A lot more. Now, I am sure most of you can imagine how much a Doctor, Teacher and the rest of the roles get paid. Us parents get paid nothing but we don't want anything because instead we get lots of cuddles, kisses, fantastic memories and the amazing opportunity to watch our little ones grow from a helpless newborn baby to an independent adult like ourselves. Can you relate to any of the above? Do you play any other role? Yes I can tick all of those! We are busy bees us parents aren't we. Yawn!